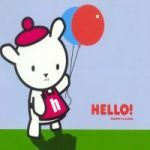 australian-charts.com - Happyland - Hello! Peaked at #79 in Australia, 1999. In parts it's similar to Polyester Girl but it's more Regurgitator than Spiderbait on this one I think, I like.